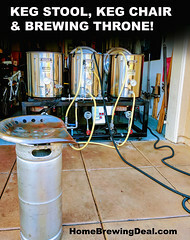 I have been homebrewing for a little over 5 years now and anytime a I come across a really fantastic home beer brewing recipe kit, I post it here. I do this for 2 main reasons. First is so that I can let others know when I find a great beer kit ans second, in case the beer recipe was too good, I have a few too many and forget how good it was. 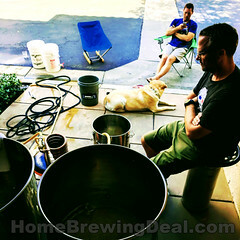 So here is my running list of the best homebrewing beer recipe kits! So this is probably no big secrete to anyone, but Russian River is one of the best breweries in America and Blind Pig is their flagship IPA. This Blind Pig IPA Beer Kit is one of the best IPA homebrewing kits around. If you like your red ale’s with a bit of a punch then this Pizza Port Shark Bite Red Ale is a fantastic choice for a home brewing beer kit. This red ale kit comes with everything you need to brew Pizza Port’s Shark Bite Red Ale. So you like sour beers do you? Well if you do, this is my favorite and the best Russian River Consecration Beer Kit that you are going to find anywhere out there. It even comes with chunks of real Consecration barrels. If you like chocolate and hazelnut, you will love this beer. The recipe was designed by one of the best brewers around and is balanced perfectly! 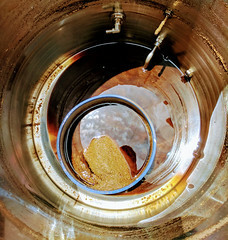 In fact it has one several gold medals in home brewing contests and I personally am a giant fan of it! Want a fantastic Amber Ale that is easy to drink, and has a bold hop profile that will leave you wanting another pint? 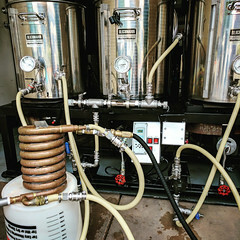 Well Mike’s American Amber Ale Kit is a great way to go. This kit even features 4 hop additions! When it is hot out I prefer a refreshing beer that is lower in IBU’s and in ABV. If you are the same then this American Wheat Hefeweizen Beer Recipe Kit is a great summertime go to beer. It reminds me allot of Widmer’s Hefeweizen beer recipe. I had just brewed this robust beard porter beer ingredient kit recipe because it was on sale and I was really pleased with it. It is well balanced and has a wonderful caramel flavor to it. If you are looking to brew a porter, I highly recommend this porter beer recipe kit. I love the morebeer Pliny the Elder homebrewing kit. Once of my favorites. Thanks for the recommendations! I have tried the American Wheat kit and liked that one a lot!